Waiting on Wednesday is a weekly meme hosted by Jill over at her blog, Breaking the Spine. It's easy to participate in this meme--all you need to do is post the title(s) you're really really waiting to read. 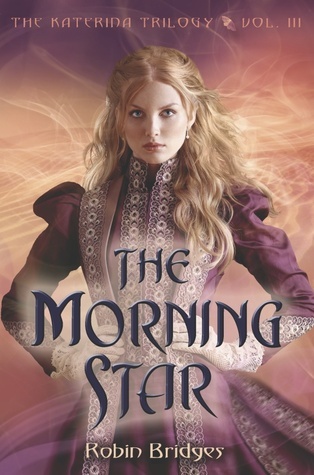 My pick for this week is the third and final book in a YA fantasy series I love. Katerina is an unforgettable heroine and I can't wait to see what happens with George. The Gathering Storm is the first book (my review) and the second is The Unfailing Light (my review). Katerina must find the sword before Konstantin does—and she must travel to Egypt to do so. Along the way, she puts up with unwanted attention from her former fiancé, the nefarious Prince Danilo, and struggles with her feelings for her true love, George Alexandrovich. But with the looming threat from Konstantin, Katerina's focus remains on the sword. Russia's fate will be determined by whoever wields the Morning Star—and delivers the final blow. Gah, I still need to read the second book but maybe I can pick them up at the same time and read them back to back-goal for 2013! I really want to read this series. It sounds so good and all the covers are amazing! I haven't read this series, but it definitely sounds great. Nice choice! I haven't read any of this series yet but it looks great! OLD follower! This sounds incredible. I like that the background is Russian royals.